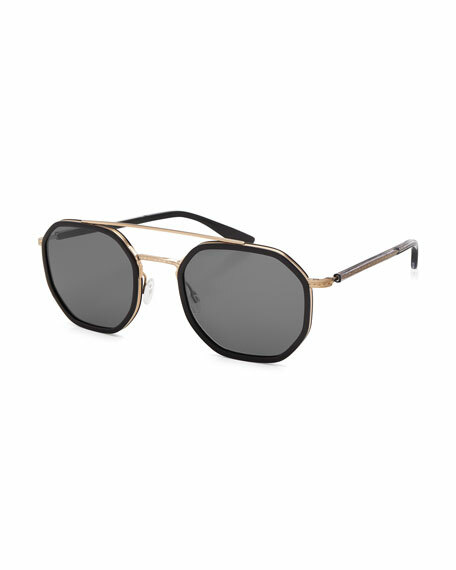 Barton Perreira "Themis" octagonal sunglasses with filigree engraving. Transparent temples with core wire. For in-store inquiries, use sku #2188579.